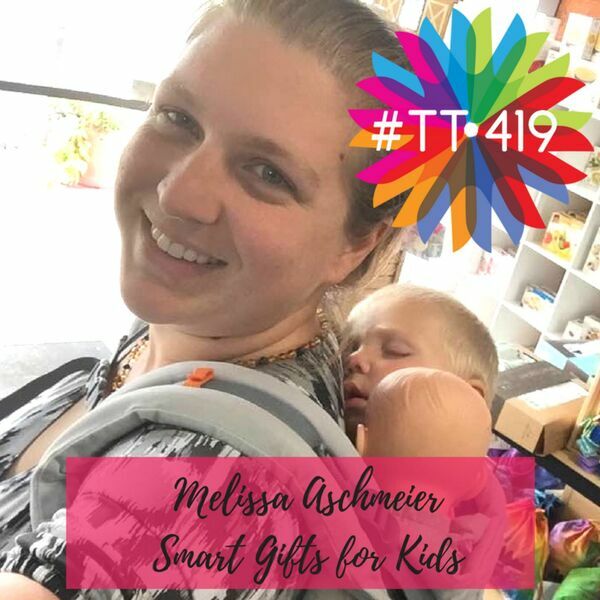 Melissa Aschmeier is a mom and the owner of Fluff Stop Baby Shop in Defiance, Ohio, where she shares her passion for cloth diapering, baby wearing, healthy pregnancy, breastfeeding, non-toxic products, and educational toys. Listen in to hear all about choosing quality gifts for kids that won't add to the junk pile, will grow with them, and will aid in their development. You might even be able to pass these items down through the generations because they never become outdated. Melissa also has a love of this small town in NW Ohio and is leading an effort to revitalize the downtown area in conjunction with the Defiance Development and Visitor's Bureau. There are some fun events planned for the 2017 holiday shopping season and her store is participating. Pick up your downtown Defiance Passport and #ShopDefi this holiday season! Support local small businesses during your holiday shopping! Have your Passport stamped at 12 of the 29 stores, turn it back into the DDVB office (325 Clinton Street) and be entered to win a downtown Defiance gift certificate tree worth $500+!! For more info: http://visitdefianceohio.com/event/shopdefi-passport/ On Friday, Dec. 15th from 6-8 pm, you can drop off your kids at the Campus Community Center and shop downtown Defiance for some great deals AND keep those gifts a secret from your kiddos! The Fluff Stop will be open and offering some great deals during that event. For more information about Fluff Stop Baby shop, go to www.fluffstop.com Music Credit: www.bensound.com Melissa is doing a giveaway with our podcast! Make sure you're subscribed to this podcast, and listen all the way to the end to get the details!